I have a board to wide to cut on my chopsaw. Trying to use tablesaw but having problems keeping square. Sounds like you need a crosscut sled. How wide is the board you're trying to cut? I have a crosscut sled. Board is 6.5 inches wide. Don't know if the board slides or what goes on one is perfect next is off. With a sled there should be no room for movement. I'm guessing you have an adjustable sled, so did an adjustment come loose maybe? Perhaps building a dedicated 45 sled would be best. 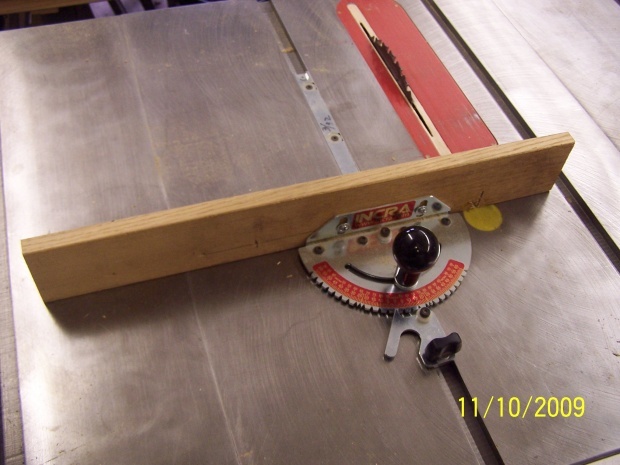 You might need a miter gauge extension like this one. You can glue some sandpaper to the working side to help hold the piece from sliding...just use old garnet sandpaper paper, not the new aluminum oxide as it will dull your blade when you cut through it. Here is what i am working on . Don't know why i have problems with this should be simple compared to other things i have done. Everything wants to slip around. Any variation in the bevel angle will throw the whole thing off. I would use a table saw, set the blade to 45 degrees and if you don't have a sled, I'd consider making one. Another thing is to have a nice sharp blade so you aren't influencing the flatness of the the cut by adding force to maintain a straight cut. A miter gauge will work, but you need a non-slip surface as I mentioned. That is NOT a simple project even though the cuts are simple. A miter saw will also work but you mentioned the cross cut capacity wasn't enough on your saw. I prefer to make bevels on the table saw, it just seems safer and easier. If you have a digital angle gauge I'd use one to set the blade angle. If not make certain you have a perfect 45 degree. Cut 2 pieces and see if they mate when you flip one over. Ah, thanks for the pic. Pictured in my head I had a 45 like the example with the circ saw, not a bevel angle. I found using a miter gauge only and having a long board off to one side can cause problems from the drag. Planning my cuts so the first is approximately in the middle of the board balances the board on the miter gauge for the first cut and shortens things up real fast to eliminate this problem on the rest of the cuts. One other thing, are you sure the board is held down flat as you make the pass? For instance, if you are clamping the board against the fence of a sled, the front edge might raise a bit while the back edge is flat against the table.
" long board off to one side can cause problems from the drag" Cut pieces few inches over length B4 beveling. Wax table top, miter slot, and blade so all that slides EZ. Good stiff miter extension or sled with the sandpaper on it as thing mentioned, paper on top of sled as well, so those parts don't slide. Make sure miter or sled is square to blade. Wide set blade may help, rough sides of blade make wood want to dive at front of blade, climb at back causing board to slide towards or away from blade. 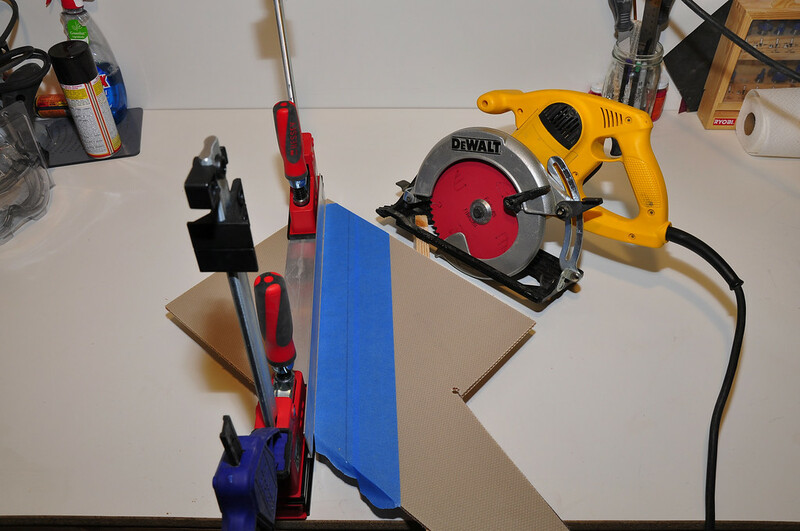 Hold board flat and against sand paper, or kwick clamps on sled. my tablesaw." How about on others? Maybe your not holding your mouth right. When was last time saw was tuned? "when trying to vut on tablesaw" Do not vut on your saw or anyone elses, vutting on a saw is illegal in 17 states, most of them in the Bible Belt. thing, is that you're incra miter? How do you like it? I used incra jig on router table for a long time a long time ago. Mostly for dovetails. It was way accurate as long as bit was sharp and didn't have to lug heavy router through slots of other style dove tail jigs. But that Inca miter always looked flimsy to me. Plumb outta square and off on a tangent. Found the problem with my crosscut sled. Stupid mistake should have checked the bottom. There was a wood chip stuck to the bottom so the sled rocked. Popped that off and everything went much better. Thanks for all the help and ideas. "wood chip stuck to the bottom" I warned you about that vutting, always leads to trouble. Weird things like that chip, or bit of folded tape stuck to level can drive you nuts. It seems so simple and obvious, but I try all sorts of extreme things before I find it. 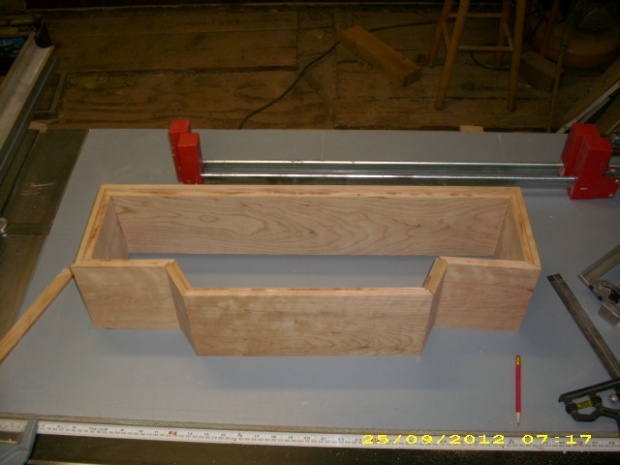 The best thing I've done for good miters was the "Excaliber" mitre guage. I never set it and start cutting miters.....it is check check check then a final cut. Wouldn't you know it...it can be the simplest of things. Similar to a buildup of sawdust (or chips) between the table and the fence (on many tools). I use a toggle clamp on the fence that holds the wood against the bar in the slot of the table / or sled. 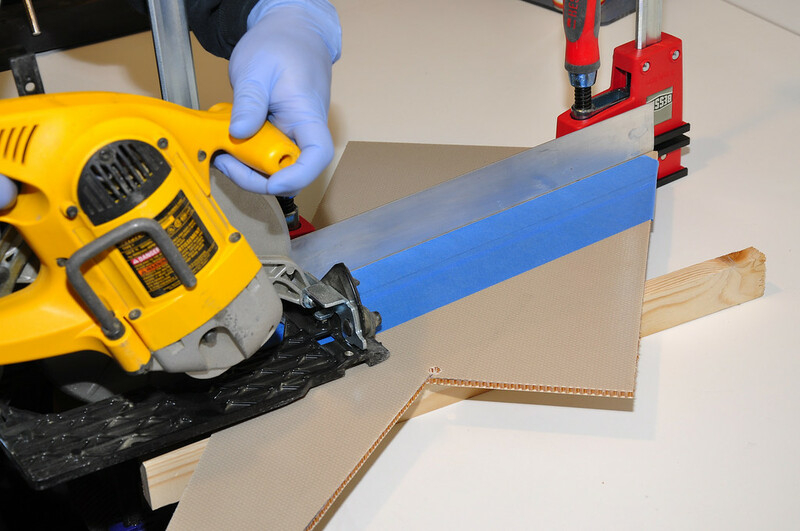 Cutting an angle pushes the material spoiling the perfect cut.